All mental health and support services are delivered by a licensed psychotherapist, or in some cases, an intern working under the direct supervision of a licensed person. Treatment approaches and interventions are determined upon consultation and assessment, and are discussed with the client(s). Mindful Solutions Mental Health & Support Services is dedicated to utilizing evidence-based best practices in an effort to deliver a high standard of care to achieve desired outcomes. The ultimate goal of an intervention is reduction and/or relief of symptoms. Some of the therapeutic approaches and techniques used to achieve this goal are derived from the following modalities, theoretical frameworks, and treatment orientations. Note: Additional and/or alternative modalities and methods may be considered as appropriate interventions. 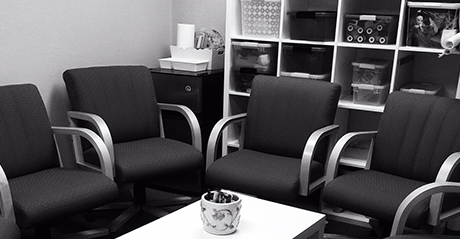 Mental Health & Support Services: psychotherapy, counseling, coaching, and group facilitation. Support services for mental health and social service professionals are delivered as a consultation or supervision service. Please Note: If using your insurance coverage, session length and frequency may be determined by benefit type and medical necessity. Services are available in English & Spanish. Sessions are 50 minutes long and usually scheduled on a weekly basis. There are occasions when additional and/or longer sessions may be suggested. Please consult with provider/clinician if your presenting issue/symptom is not listed above. I am passionate about this work and believe in its effectiveness. Dedicated to providing clients with a therapeutic experience in a comfortable, private, and professional environment. Lorena L. Ybanez, LCSW is bilingual/bicultural, locally raised, and has close to 20 years of experience in mental health and social service agencies/organizations.